Headlines are used everywhere, from email subject lines to sales pages to blog post titles. If you are not writing great headlines then the chances of people engaging with your content is slim. 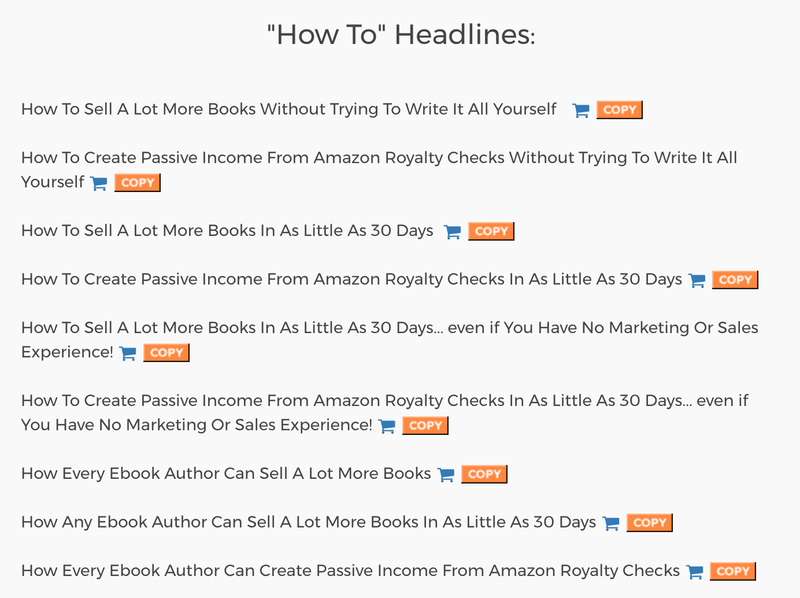 You are about to learn how to create headlines people read! 18:15 -A tool that writes your headlines for you! Check it out here. We also share screengrabs below. 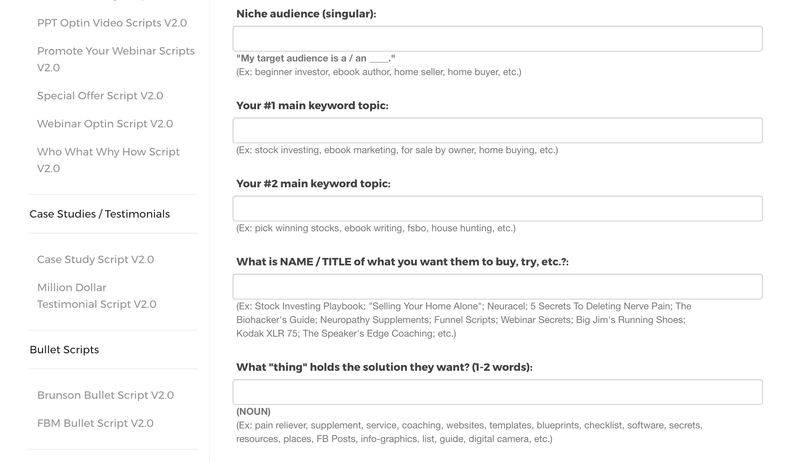 Have a look at Funnel Scripts. STEP 1: You fill out a form. STEP 2: The tool gives you a long list of potential headlines.